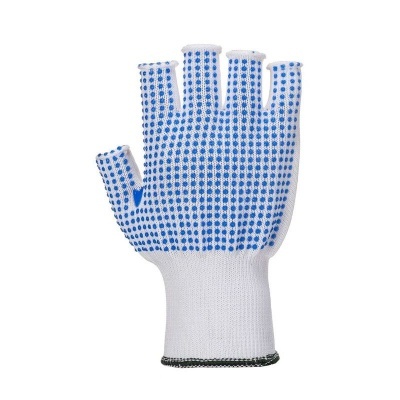 While their durable construction, good tear and abrasion resistance, and enhanced grip make the Portwest Fingerless Polka Dot Gloves A114 well-suited for most low to medium risk tasks, it is their fingerless design that makes them really stand out. 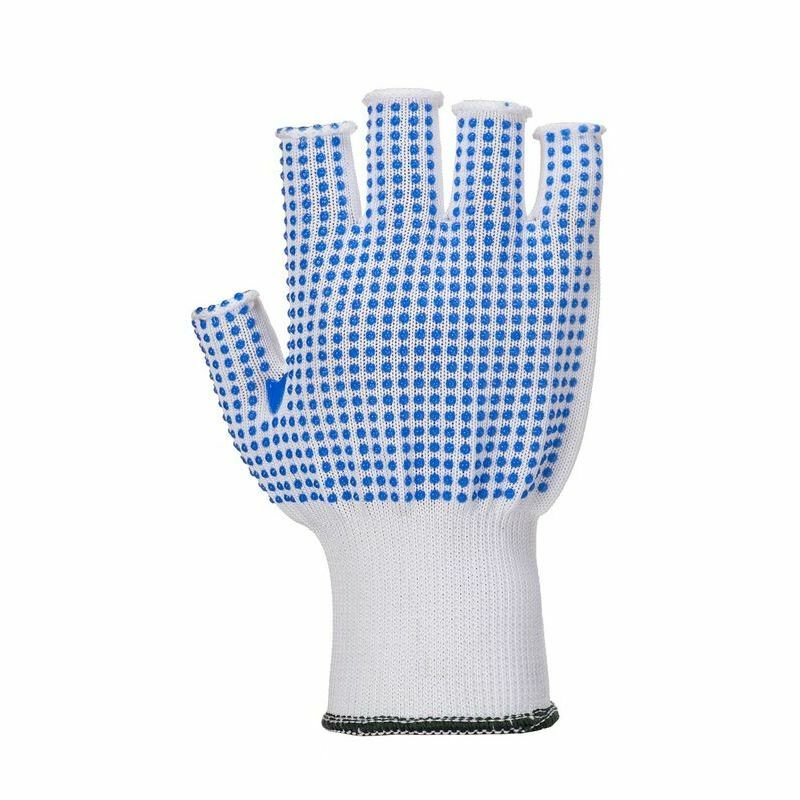 Maximum fingertip sensitivity means you can wear these gloves for fine handling, and even when using a touchscreen. The Portwest Fingerless Gloves A114 are available in four sizes, one of which should suit the hands of most users. Please measure the circumference of your hand around the knuckles (excluding the thumb) with your hand open and your fingers together, and the length of your hand from the tip of your middle finger to your wrist.